This is for all you 0L readers out there who probably are in the middle of hearing back from the law schools that you applied to. I know that this is a stressful time, so hopefully if you already know what to expect and prepare for, this will be one less thing to worry about. I'm writing this post as a little reality check for all y'all wanting to come to law school because I always see future law students not really knowing what they're getting in to, and it upsets me. I see people who are super concerned and think that law school would make them too busy to even have a pet; so if you're one of those people, I hope this helps you see that you won't be that busy constantly. On the other side, I see people who have the "What, like it's hard?" attitude and as much as I love Legally Blonde, if you watch it closely it actually kinda is hard for Elle; so if you're one of those people, I hope this helps you see that you're not signing up for College 2.0. 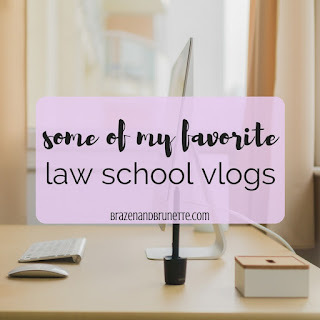 Also, check out my 1L Day in the Life of a Law Student post and 2L Day in the Life of a Law Student post for a more step-by-step review of what goes on every day. College - I would wake up like 15 minutes before class starts, throw on some Nike shorts and a comfy t shirt, throw my hair in a messy bun, and head to class. This is the extent of preparing for class. My backpack had only my laptop in it and that's it. Honestly probably I would show up a little late and sneak in to the back row. Law School - I wake up several hours before my first class to get to school. I try to at least do my hair and makeup and look nice because I never know who important will be dropping by the school or if I'll have all of the class looking at me. I head to class with a backpack full with my laptop, folders, and books. My books are probably too big to all fit in my backpack so I have to carry a few. College - My laptop would be set up to a split screen between Pinterest or Facebook, iMessage, and my note taking app. I just copied down the slides into my notes because I knew that my professor only tests me over the slides. When scrolling on my computer got boring and my friends weren't texting me back fast enough, I'd half-heartedly listen to my professor. It wouldn't be unsurprising if my professor just directly read the slides to me and I wasn't hearing anything new since that's exactly what I just copied. Law School - I've already read my casebook, highlighting as I go. I also probably have taken some pre-class notes about what I read so that just in case my professor calls on me, I'll be prepared. I add to my pre-class notes the notes from the slides. I also have to listen to my professor because he's likely adding more substance to what the slide says. My professor puts up a practice problem, say on Evidence. From the facts given I know that the evidence would get in, so I eliminate the two options that say it wouldn't get in. The other two options saying it would get in both are equally as plausible to happen, so I just pick one that I think sounds good, but honestly I don't know. The professor asks everyone to raise their hand to vote for what they picked and most of the class chose what I chose. The answer is one that no one voted for and the whole class groans. The correct answer says that the evidence wouldn't get in and it's the right answer because the reasoning it gave was the "most correct." I possibly throw my pen down in frustration. College - I met up with my friends and spent an hour (or more) eating and chatting. We'd talk about the guys we're talking to and were already making plans for our next night out. If it's a long lunch, I might even leave campus and go home. Law School - Both of my law schools were small enough to have everyone have lunch at once. This means I might have a student organization meeting during this time, or a guest speaker might be at my school, or I'll have a "lunch and learn" where I get information about a program my school has while I eat. If there's nothing on my schedule, I can meet up with a classmate to eat. Me and my friends likely spend all lunch talking about our classes. Or I might take this chance to start reading for my next class. If I get done preparing for one class and still have time before it starts, I get preparing for another class. College - I went home and napped and then my alarm would wake me up to get back to campus. If it was a really pretty day or I just did't feel like going all the way back to campus, I'd skip it for some Netflix time because most of my college classes either don't take attendance or give me a ton of absences to use. Law School - Again it's likely that I'm spending this time reading, whether that's at home or at the school still. I wouldn't dream of skipping class for no reason like in college because class participation is super important. Also, my professors give me like 4 absences so it's not like I get a lot of opportunities to do so anyways. College - If I ended up going to class, I again just sat there on my computer most of the time. If my professor asked a question about something I was assigned to read, everyone was quiet because no one read. There's a good chance that I don't even have the book. Sure my syllabus said to "read" before every class but that was more of a loose suggestion than something that anyone takes seriously. Law School - As a 1L, I had all of the same people in my class as I had before. Even as a 2L or 3L it's super common to have the same people in my classes over and over again. If I get called on, I'll likely stand and tell my professor a summary of what I read the night before. Even though I can sit after that, he'll continue to ask me questions about the reading. Then he might change the facts of the case that I just discussed and ask me what would be the holding in this hypothetical case. If my professor asks a question to the class, multiple hands shoot up and he'll go through a lot of them looking for the right answer. It takes several people because it's a tough question so the answer isn't that obvious. College - School is officially done for me now. I had nothing school related to worry about until tomorrow in my next class. Law School - If I got all of my reading in today, then I'm done for the day. More likely, I have a few hours in the evenings to do nothing but still will have to read anywhere from 50-100 pages before I go to sleep. College - I had a test about once a month. The test was almost always over the chapters that we had covered from the last test until now. The test probably only counted for like 20% of my grade. I'd wait until the day or so before my test to even care about it. Then me and my friends all got a table together at the library for our all-nighter. Thanks to all of the energy drinks, I'd stay at the library for like 14 hours in a row studying the slides and my notes and I'd skim through the book to read the headings. It turned out okay that I waited until the last minute to study because the material was still fresh in my mind for the hour-long test so I got a good grade on it. Law School - Most likely, I won't even have a test. If I do, it's only a midterm. I have been reading the book all along and paying attention in class so I'm not learning any new information before this test. At this point I have no other grades in the class so I'm not even sure if I truly understand the material or just think I do. I ask around to my classmates and friends to see if anyone has taken this class with this professor, and if they have I'll ask for an outline and about what to expect on the test. I start studying at least a week in advance to work on memorizing case names and statutes. The test is multiple choice and essays and is 3 hours long. I miss several multiple choice questions because I chose a correct answer, but not the "most correct" answer. I end up with a C+ because several of my classmates just had a better essay answer. College - My final was probably no more than 30% of my grade. It was also highly likely that it only covered the last chapters of my book. It's all multiple choice. I used the same last-minute study tactics as before and crammed right before each final. When I was exhausted in the middle of the night, I'd calculate my grades so far and figure out that I only need an 82 on the final to get an A in the class, so I'd decide I knew the material well enough for that grade to stop studying and sleep. The test was three hours long but would only take me an hour and a half, and that's because I went back and double checked all of my answers. Two days after my test, I'd find out that I did indeed get an A on that test. I never saw that professor again. Law School - My final is probably 99% of my grade. I say 99% even though the syllabus says 100% because that other 1% is made up from class participation and attendance. The test is cumulative and if anyone were to ask my professor what will be on the test, he'd just reply with "everything." I've been lightly reviewing my notes all semester, but I really start cranking it up the last month or so before the test. I have an outline covering everything I've learned so far that's long enough to be a short story. Now I spend more hours on the weekend studying so that I can do practice problems. I have mild panic attacks because my whole grade for my semester rides on this one test. And my grade for that test could be impacted by how well my classmates do, too, because of the curve. The test is 4 hours long and I furiously write about the issue, rule, analysis, and conclusions for every question. My grammar and spelling are terrible, but it's okay as long as I'm applying the law to the facts correctly. I finish with only ten minutes remaining. I get my grades back the day before Spring semester starts and luckily I got a B-. I go visit my professor's office hours and see where I could improve, and if I like the professor, I'll sign up for another one of his classes hoping that now I can get a B or better since I know what he's looking for on a test. If you read this and thought OMG this is too hard, calm down. You know how now when you see high school kids talking about how hard their studying is and you think LOL just wait college is much harder? yeah that's what law students think about college. But if you can survive the adjustment from easy HS classes to college classes, then you can survive the adjustment again from easy-ish (in hindsight, I promise) college classes to harder law school classes. 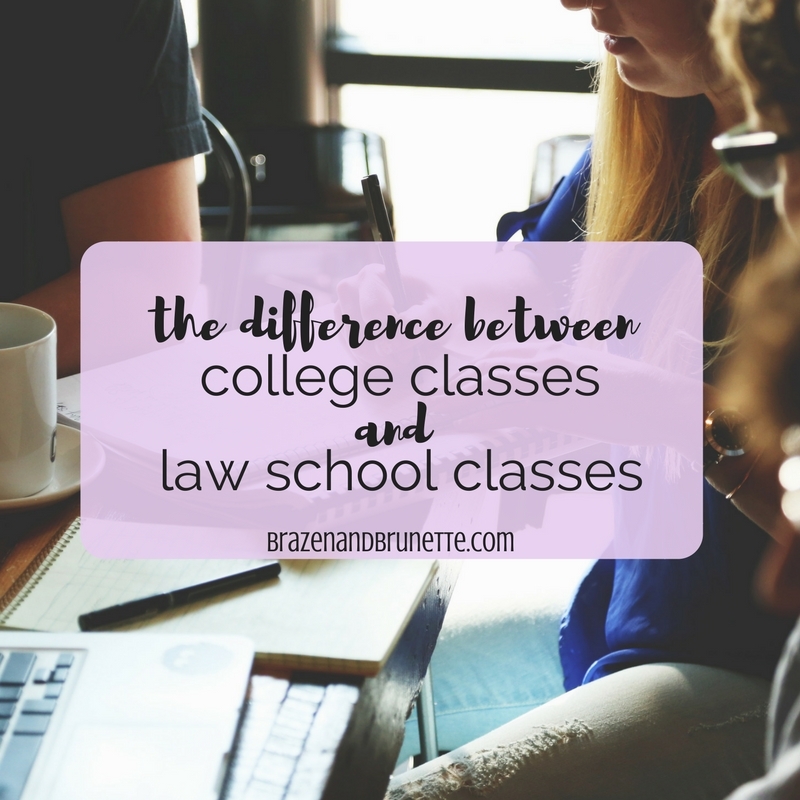 Just remember that the biggest difference with law school is now you're going to have to put in actual effort and really earn your grade. The time after spring break is when things really get moving and part of that whoosh that you're about to feel is registering for classes. 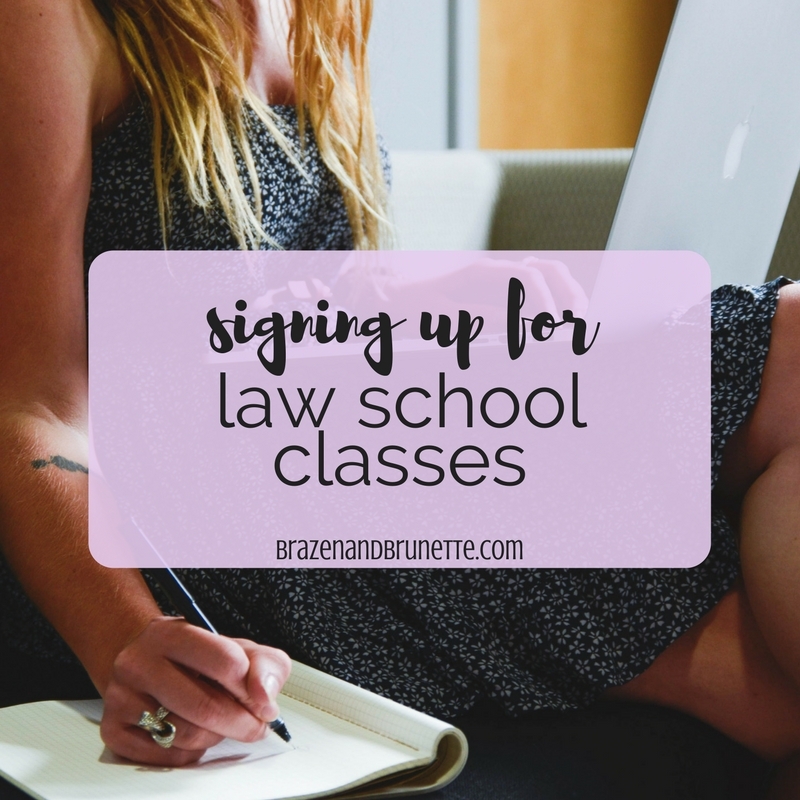 You may recall that I kinda already did a post like this, See Registering for 2L Classes (haha a little Bluebook humor). But now I'm older and wiser so I have more to say about registering for classes. By the way, the post is more about planning classes, but if you want to know what classes to take, go check out that post! Without trying to stress you out too much, the best way to go about thinking what classes you should take next semester is to go ahead and plan out all of your classes until you graduate. I know this is hard to do if your future is uncertain like mine was last year because I was planning on transferring and wasn't sure what kind of law I wanted to practice, but it really would've helped me if I came in knowing what all classes I aimed to take before I graduated. Going off that, think about what you want to do your 2L and 3L years. If you are interested in taking a clinic at your school, try to take classes that are relevant to that clinic. If you're looking into getting an internship or an externship, same thing. Things like these are very competitive so it will help your application stand out if you can show that you're highly interested in this position and that you're prepared for it. The last thing you want is to be denied from a program or have your graduation delayed because you forgot to take your required classes. Check with your school and see what classes they require you to have for graduation, and also if they have any time requirements (ex. must take so many per semester/year). Also, ask around to any upper-level students you know and see what classes fill up the fastest. This will help keep your whole planned schedule from getting thrown off if you go to register for classes and half of them are full. Also, as a personal opinion, I would say try to take your Professional Responsibility class sooner rather than later. It's an ethics class that the ABA requires all law students to take and *surprise! * you have to take and pass the MPRE in addition to passing the Bar to get a law license. The good news is that you can take this whenever so if you get this class out of the way early, you can take this test as a 2L whenever it's convenient for you and have that out of the way. Besides all this, any job or program you get in to really likes it if you've already had this class. Sure they'll have you sign non-disclosure forms, but it also gives them a little peace of mind to know that you know what would cause them to be sued for malpractice and will avoid doing that. I'm sure you already know about lawyer-client confidentiality (which is different than lawyer-client privilege, bet you didn't know that), but there are a lot of other ethical duties that lawyers have that are super important to know. Oh and wondering why the ABA requires everyone to take the same class and has its own test for it? You can thank all of the lawyers who did some not-so-ethical things during the little scandal referred to as Watergate. Let's have some fun (jk) and break down the math. You'll need 90 credits within 3 years to graduate. That's 30 credits a year. That's 15 hours a semester. This might sound do-able because you got about 30 hours done your 1L year, but how did you feel about it? 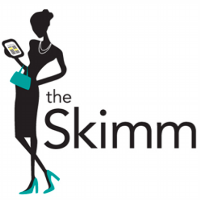 Did you feel swamped with reading and as if you were always in class? Now think about how bad that will be trying to take 15 hours a semester in upper-level classes, where professors expect even more reading to be accomplished in a night and the material is even more complex. Sounds like a recipe for disaster doesn't it? If I can barely keep up with the reading for a class that spans a full semester, how will I survive when that schedule is condensed? Am I going to be reading 200 pages a night to compensate? No, professors aren't that mean and so they don't just take a semester-long syllabus and cram it into a few weeks. Instead they modify it to be reasonable. Although, you probably will be in classes for a lot longer at once so don't think just because it's summer classes it'll be super easy. Maybe just a little easier. What about a summer job? How would I have time for both?? Most employers are very understandable about you having a job, so it shouldn't hurt your job prospects. You can work during Summer I and take classes during Summer II (or vice versa). You could also agree with your employer that you take a Tuesday/Thursday class(es) and work Monday Wednesday Friday. Another option is to take all morning classes and then go to work afterwards. Just let them know upfront when you're interviewing and then be prepared to be flexible with your hours. What about paying for all of this? I only got a loan to cover spring semester? There are loans for summer school, too. Don't stress too much about having to take out yet another loan because generally summer classes are a little cheaper. What if I'm planning on going back home for a few weeks during the summer? Your school probably offers some classes online so that won't be a problem. 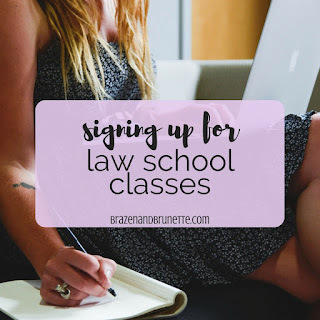 PS - I also think this is a great post about Choosing Law Classes. I really agree with them and honestly in hindsight I think I would've been fine not taking Family Law and instead just learning what I need to know in a Bar course. Then I could've taken a class that is more relevant to what I want to do or at least one that I think would be a harder subject on the bar for me.